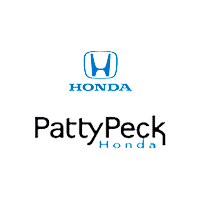 Jackson MS Honda shoppers can stop in to Patty Peck Honda to test-drive the 2014 Honda Crosstour. This versatile SUV brings back a refined and sleek new exterior to go along with Honda’s most advanced safety features. Along with its sleek exterior, the 2014 Crosstour also comes equipped with some of Honda’s most advanced safety features. That’s peace of mind that Jackson MS Honda fans need in a new SUV. Honda’s LaneWatch blind spot display returns with the Crosstour in 2014. LaneWatch offers an intuitive blind spot display that provides unprecedented visibility. This technology lets drivers get an up-close view of any blind-spot traffic in the right-lane from a camera display on the navigation screen as the driver prepares to switch lanes. Standard features include a rearview camera with guidelines, Bluetooth HandsFreeLink, USB/iPod connection, fog lights, one-touch turn signals and an Expanded View Driver’s Mirror that helps reduce the blind spot by expanding the field of vision. The versatile 2014 Crosstour still packs a punch. The Crosstour EX and EX-L are powered by a 2.4-liter, 16-valve DOHC i-VTEC engine. The 60/40 split rear seatback folds down and is spring-activated, and levers can easily be accessed from either the rear door or through the cargo area. Make transitioning from hauling passengers to cargo an easy process. Located under the cargo floor is a hidden, removable, and water-resistant versatility box. The 2014 Crosstour benefits from an updated, aggressive look that returns this year. Newer exterior features include the grille, chrome bezel headlights, and tailgate. Inside, the large and fully-functional cargo area lets you haul everything you need and then some. 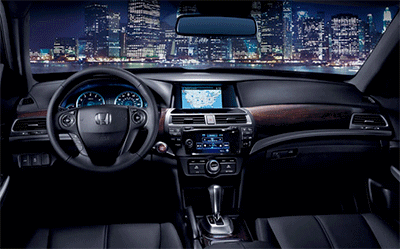 The 2014 Crosstour is loaded with hi-tech features, and here’s where many of them come together: the intelligent Multi-Information Display. You can count on the i-MID for all kinds of knowledge when you’re on the road. The i-MID is your go-to for all your important, drive-related information. It displays info like your current mpg, trip range, the song you’re playing, text messages and even turn-by-turn directions if you opt for the available navigation system. And if you ever need to reverse course, i-MID will also display images from the multi-angle rearview camera. 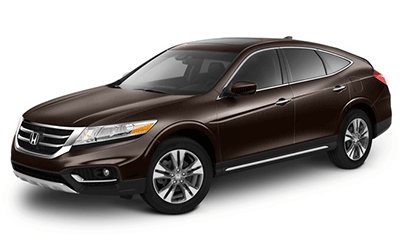 Interested in the 2014 Honda Crosstour? Call Patty Peck Honda at 601-957-3400 today or schedule your personal testdrive with one of our knowledgeable sales consultants! *22 city/31 highway/25 combined mpg rating for 2WD 4-cylinder models. 20 city/30 highway/23 combined mpg rating for 2WD V-6 models. 19 city/28 highway/22 combined mpg rating for 4WD V-6 models. Based on 2014 EPA mileage ratings. Use for comparison purposes only. Your mileage will vary depending on how you drive and maintain your vehicle.